When applying to teach English in South Korea, most people are confused when comparing private vs. public schools in Korea. There are many varying opinions online so it difficult to know which is better. Many people from the US and Canada believe that a government-run program of any kind is more reliable and trustworthy than a private program. Why? Because it’s the government! This way of thinking, however, does not carry over to Korea, especially when it comes to the public school program EPIK (English Program In Korea). We have outlined below the reasons why EPIK is no longer as safe an option as it used to be. 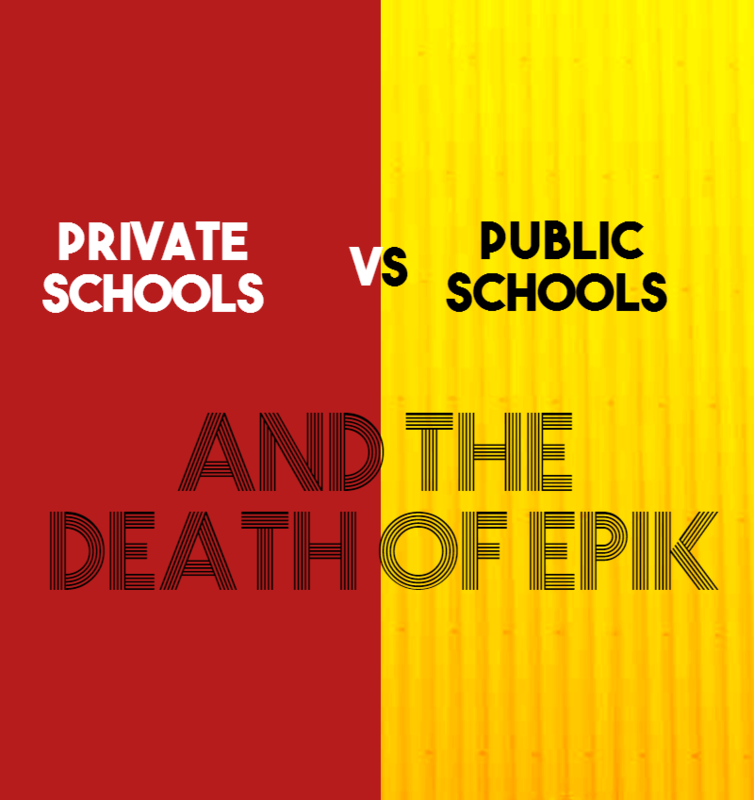 EPIK was first created to stop parents from paying high fees that private schools (hagwans) were charging. It aimed to eliminate the need for private schools by providing proper English lessons (taught by foreign English teachers) at public schools. While the intention was noble, the results have been disappointing. EPIK is dying a slow death thanks to less government funding (a result of families having fewer children), poorly created curricula and subpar teaching. All too often, people looking to teach in Korea are too focused on things like location, working hours and vacation time. EPIK, for the most part, offers better vacation than private schools (about 5-7 days per year more). Location, however, is not guaranteed (even though you are told that before arriving in Korea), and daytime hours are now being offered by most private schools. What people forget, though, are the most important aspects of a job. This includes job security, satisfaction and their personal life in Korea. EPIK’s massive system treats each teacher as just a number. No real concern is given to the individual and their overall well-being while they’re in Korea. Korean parents sacrifice everything for their children and their future. Accordingly, they want the best of the best when it comes to English lessons. This is because speaking English offers many opportunities for Koreans. The curriculum that EPIK provides is very generic in nature, so children with medium to high levels of English learn nothing they don’t already know; conversely, those with little or no knowledge learn only the very basics. Lessons are taught to 40 students at a time (often with only 1 teacher!). As a result, there is no individual focus on speaking. On the other hand, private schools offer extensive individual practice because class sizes are typically 8-12 students. Also, students are grouped by ability so there are never large discrepancies between students. As parents realized that their children were receiving mediocre English lessons at public schools, enrollment in private schools skyrocketed. At first, we at Travel and Teach wanted to offer both private and public school positions to our teachers. That way, people could make a decision depending on individual preferences. We therefore worked with EPIK for 4 years before multiple problems started happening. Eventually, it got to the point that we no longer felt comfortable and safe sending our teachers through EPIK. Problem #1: The application process requires applicants to apply 6 months in advance. In fact, they are forced to apply even before they have the necessary documents ready to apply for the visa. This resulted in lost jobs when documents were not produced in time. Applicants then had to start their job search all over, by which time most private schools had completed their hiring. At best, this caused many people to go to Korea 3-6 months after they originally wanted to. At worst, it caused many to not go at all because they didn’t want to through the process again. Problem #2: EPIK hires twice the number of people they need. For one intake, EPIK will ‘hire’ around 2,000 teachers for 1,000 positions. This is so that there aren’t any teaching positions that are not filled. The ‘first come, first served’ way of recruiting results in hired teachers losing their jobs after completing most of the required steps. They then have to start all over. Problem #3: EPIK promises that if you send your visa documents to Korea in a hurry, you will secure your desired location. Unfortunately, this is not always the case. We had multiple reports of teachers being promised positions in large metropolitan cities. When they arrived at EPIK orientation, however, they were given placements in rural areas. They were then told that they could either accept that position or return home on their own dime. Problem #4: Government cutbacks started to be a common occurrence, as schools could no longer afford to employ foreign teachers. While losing your job before getting to Korea is a problem, losing your job while in Korea is infinitely worse. At that point, the entire visa process needs to be redone, and you must do this all on your own. Problem #5: Teacher support through EPIK is essentially non-existent. EPIK teachers commonly complain that there is a serious lack of support. Whether it is from EPIK representatives or within the school, there is often no support structure. At private schools, you have managers, directors and co-teachers who can assist you or answer your questions. In addition to the problems outlined above, in late 2009, EPIK cut 150 jobs 1 month before those positions began. For Travel and Teach alone, we recruited 35 of those teachers. We then had to inform them that they were jobless, even though they had already completed the visa process and purchased plane tickets. Once we realized that we essentially had no control over the security of our teachers’ positions, we stopped working with EPIK once and for all. Is it true that some private schools will not pay you on time, add on extra teaching hours or fire you in the 11th month of your contract to save on severance and plane ticket payout? Unfortunately, we still hear stories like this. However, these stories are usually from people who have either 1) been hired directly through a school or 2) been placed through a Korean recruiting agency. While not all schools that hire directly are bad, nor are all Korean recruiting agencies, the fact is once you have a visa sponsorship with a school in Korea and are unhappy, your only two options are to 1) quit, go home and do the visa process all over again or 2) stay put and deal with the poor working conditions or treatment. Unlike what the so called ‘pundits’ of the teaching industry in Korea say online on Dave’s ESL Café or other online forums, the majority of private schools are well-run institutions that would not risk their reputation for the sake of saving some money by not paying a teacher what they are owed. At Travel and Teach, we have always been very picky about which schools we work with. This gives us full confidence when we send teachers to these schools year after year. We have partnered with many of these schools since 2001. Therefore, we pass on extensive information to prospective teachers so they know exactly what they are getting into. And if there are any issues or miscommunication, we are there to help figure everything out. This is the Travel and Teach Guarantee. Once people are informed of the differences between private vs. public schools in Korea, the choice seems pretty clear. Ready to find your dream job in Korea? Apply Now! Do you know where is the best place to get a complaint filed for poor treatment at EPIK? My friend is currently experiencing terrible service and support, so much that it has jeopardised her opportunity to now renew for a new year of teaching. It would be useful to know who the complaint can be filed to and seen by. Unfortunately, this is one of the MAJOR issues with getting a job through EPIK – when teachers have any problems, there really isn’t anyone to go to that will help. This is a government program that ONLY cares about getting teachers in the classroom and nothing else. I would recommend that your friend look elsewhere for work. Even if she gets re-hired with EPIK, the number of constant cutbacks is something that should be of concern with job safety (or lack of thereof). 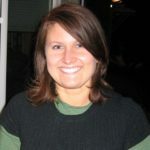 Hi, I am an English teacher from the UK. Having taught in South Korea before, I wanted to try public schools this time. A friend in Seoul tells me that the new liberal government has decided to put a western teacher in EVERY school in Korea. But is this true? For the previous 7 years, all the news was about cutbacks, especially in urban areas. IF the current trend is to expand, does that mean that it’s worthwhile to apply. One issue for me is that all but one of my friends in Korea-and I have a lot of friends there-live in Seoul, or the immediate outskirts of Seoul. Are there really any jobs for experienced teachers in Seoul? Id like to say that one thing that you forgot to mention is the fact that locations are not stable at all. I’ve known people who renewed and signed again in their current provinces but since the program was eliminated in that Province or simply cut down they were forced to move to another province without any notice, and since they had already signed their contract they simply had to move to the other province even if they didn’t want to. This has also happened in the Talk program as well. You are absolutely correct. This is another issue with the public school system in Korea. The main overriding issue is the lack of care that is expressed to teachers as they are treated like numbers and not like people. Private schools are safer and more reliable in general. The Korean government often has great intentions as to how to bolster English education in Korea, but the execution of this is more difficult than they bargain for. It’s not easy to simply have government officials become recruiters, as they lack experience and more importantly the knowledge of how to deal with westerners in general. While filling the spots is one issue, another is the teacher’s happiness while in Korea which is often overlooked.